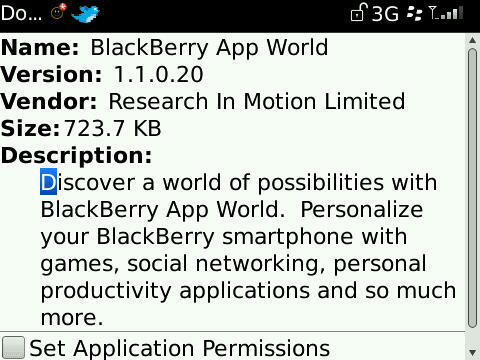 Barely a week ago BlackBerry App World was updated to version 1.1.0.19. Well as if the long awaited BlackBerry Messenger 5.0 release wasn't enough, App World has been updated again and now sits at version 1.1.0.20. No word of the changes, but one can assume nothing major. Head over to blackberry.com/appworld from your device to download. It seems that some users are still only seeing version 1.1.0.19 when trying to update from within the app, so best to head straight to the direct download. Drop a comment and let us know if its working for you.